Newly rescued mom, dad and five kids. The whole family is safe now. Our 800 cats live in three dozen air-conditioned indoor and outdoor catteries where they each enjoy three meals a day. The formerly feral cats now have a cozy place to sleep, and climbing trees to play on! We care for our rescues for life, this is what makes us different from everyone else. 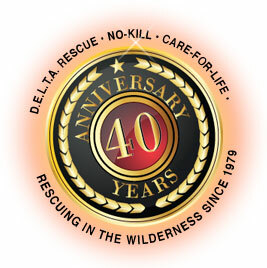 Here is just one of the many miracles happening at DELTA Rescue. In 2012 this documentary was entered in a number of film festivals where it won many awards. Rather than playing to small audiences and charging for admission, or selling DVDs, D.E.L.T.A. Rescue wants everyone to see it so we are letting you stream it here for FREE. Enjoy the film. D.E.L.T.A. Rescue is the largest “No Kill, Care-for-Life,” Sanctuary of its kind in the world. The D.E.L.T.A. Rescue Super Sanctuary is home to more than 1500 animals. Warren Eckstein host of The Pet Show visits Delta Rescue and founder, Leo Grillo. Warren talks about his visit and observations of what he experienced on a recent visit to the Delta Rescue Super Sanctuary. Check out this video of our new PC CODE 16 fire engine, the only one in the world right now! It was invented for our sanctuary by Phos Chek, the makers of the red fire retardant dropped from planes during a wildfire! In this video you will be introduced to Dr. Gaylord Brown along with questions about: Dog breathing heavy, How much exercise is good for your pet, Running with a puppy, Barking dog, My dog has fleas, Grooming tips, Dogs bad breath, Dog pulling hair out, Multi vitamins for dogs, Cat scratching, Dog nail clipping tips, Dog likes to chew human hair, Treats for good teeth, Elderly pet that shakes a lot, Vacinations for puppies, Why should I fix my dog. The number one priority at the D.E.L.T.A. Rescue SuperSanctuary is to provide the best possible care and comfort for our animals. Our founder, Leo Grillo, has invented the perfect solution to providing our dogs relief from the heat of the summer, and the cold temperatures of the winter by designing a stuccoed straw-bale adobe doghouse. 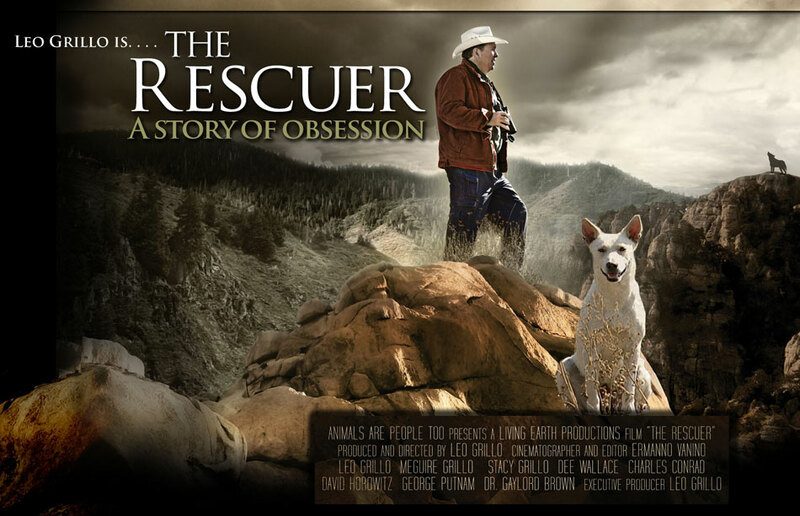 Actor Leo Grillo rescues dogs after they’ve been abandoned in the wilderness in Los Angeles. CNN’s Tom Foreman reports.